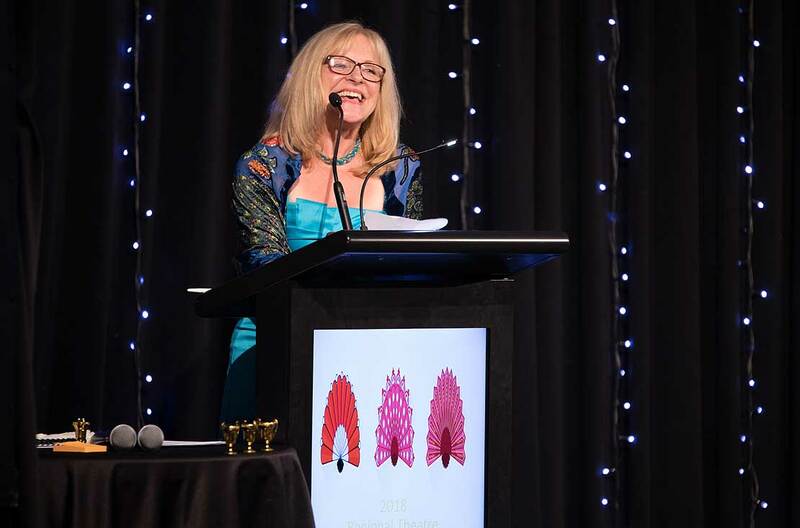 Professor Angie Farrow speaking at the Manawatū Regional Theatre Awards after receiving her Lifetime Achievement Award. Professor Angie Farrow (blue dress) with Massey students Cameron Dickons, Kaitlin Edmonds, Jess Ramage, Sarah Angland and Zak Rodgers - all from Firing Line. This year, Massey Community Theatre – made up of students and staff from the University’s varied drama programmes – swept up five awards in all. 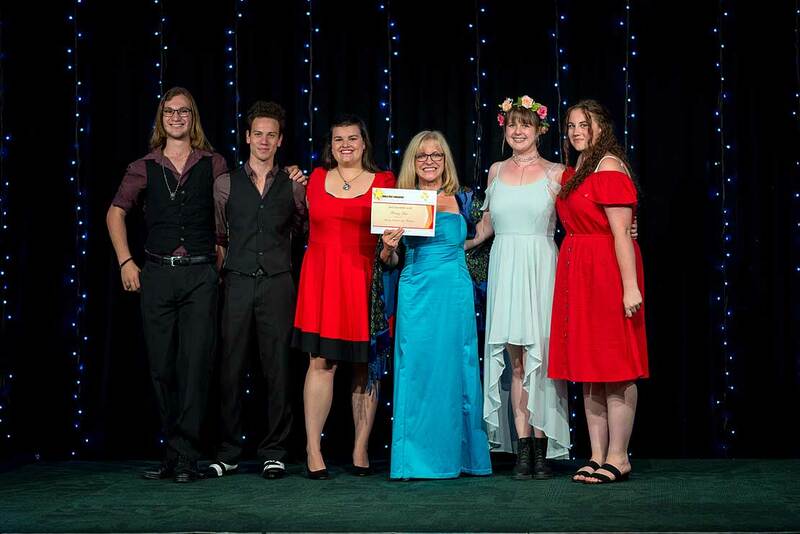 Firing Line, a piece of street theatre devised, written and performed by Creativity In The Community's class of 2018, took out both the Best Ensemble and Best Original Script and Production awards. The show’s technical support team, comprised of Luke Anderson, Leith Haarlhoff, Sean Monaghan and composer/Massey artist-in-residence David Downes won the Technical Design and Operation award for their multimedia spectacle, and School of English and Media Studies staff member and technician Luke Anderson won the Gordon Alve Memorial Award in Technical Excellence.